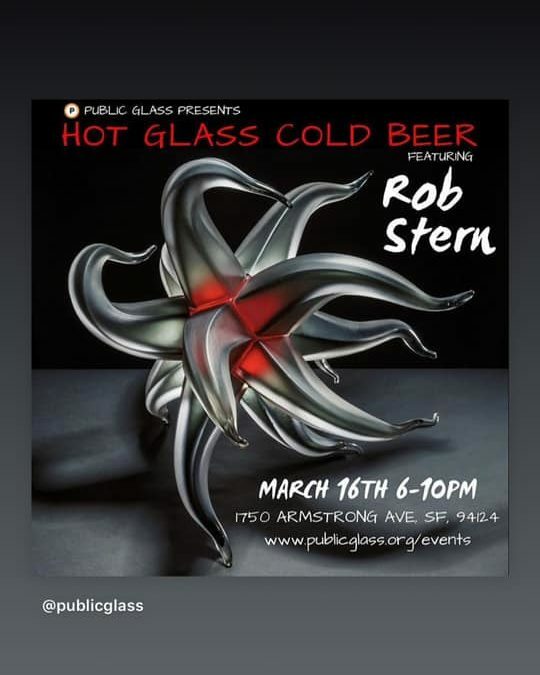 Join us on select Saturdays from 6-10 PM for Hot Glass Cold Beer, our favorite long-running event that combines glass demonstrations, live music, craft beer and great local food. Buy your ticket at the door or online, but whatever you do don’t miss a single HGCB! For $35 you can select your own hand-blown glass created by the artists at Public. While you’re here you can drink your fill of beer or wine and then take your glass home when the evening is over! As an added bonus, save 10% on all classes and workshops when you register during the event. $65 gets you reserved VIP seats, access to a VIP selection of glasses and a complimentary plate of food! Hot Glass Cold Beer has been selling tickets in record numbers, so don’t miss this chance to ensure your spot and your glass!